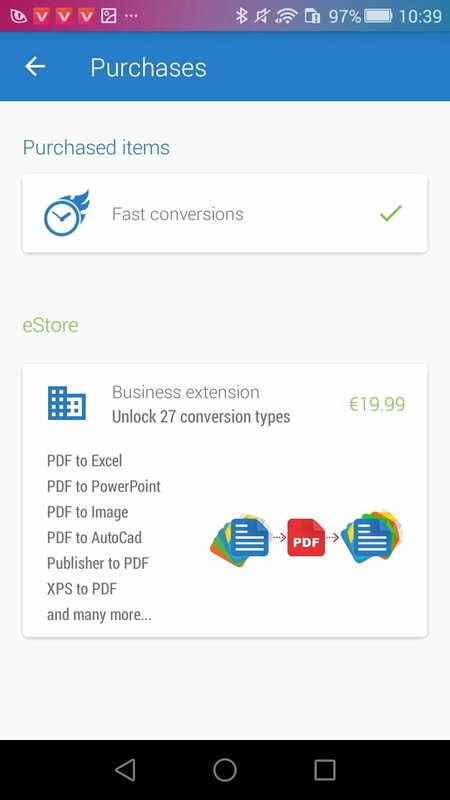 In its 25 years of history, the PDF format has reached its main target: to become a standard with which the users of all operating systems and platforms can exchange information without any kind of compatibility problems and transfer all sorts of important documents without worrying if they can be modified like a text file. 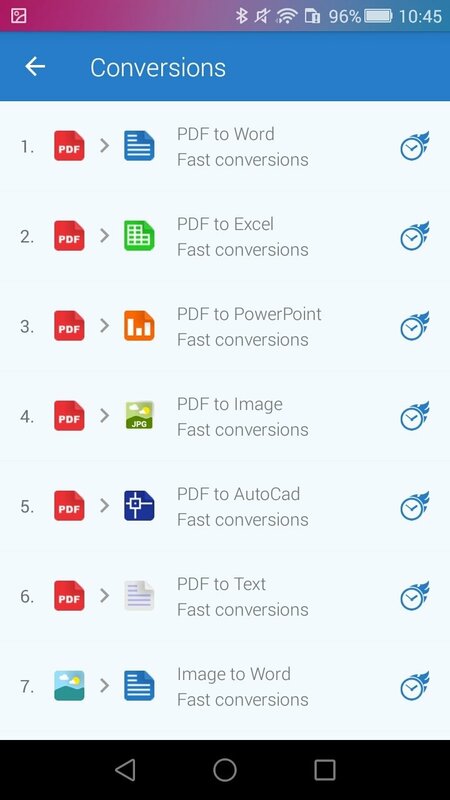 After all this time, PDF is still one of the favorite formats and although one of its main features is that it creates documents that can't be modified, on some occasions the user may need to edit them. 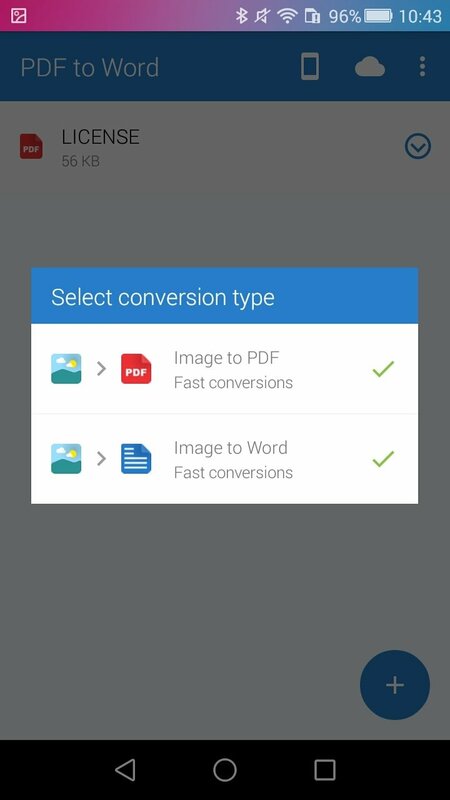 For such purpose, we can use on our Android device an application of the likes of PDF to Word Converter. 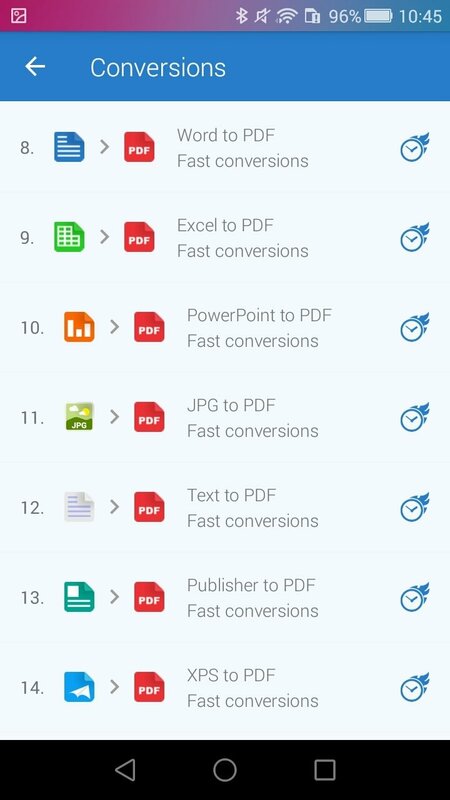 Simplify the conversion of the PDF files on your Android thanks to this tool. 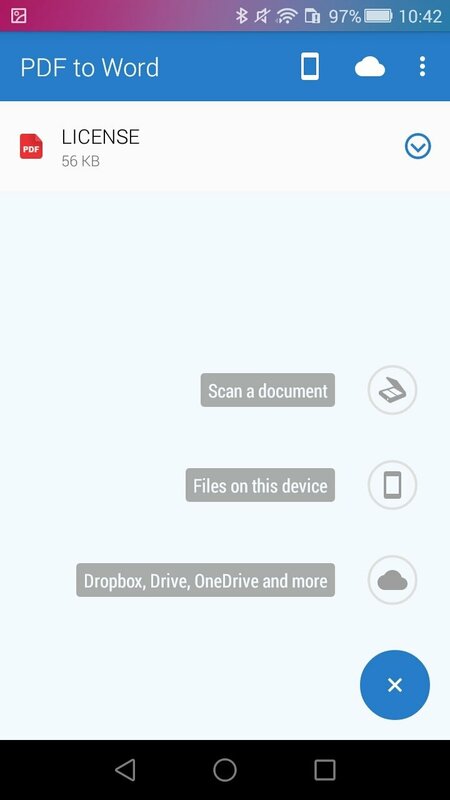 The app can convert any file regardless of its size. 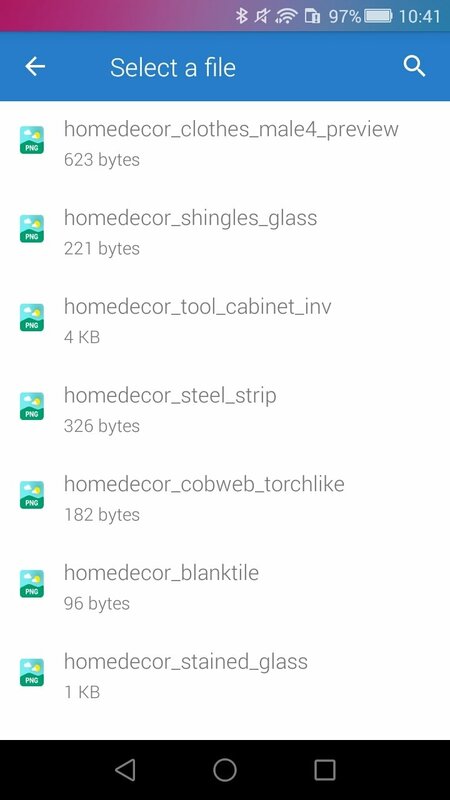 There aren't any limits to the number of files to be converted. Free conversions take an hour but only seconds if you have a license. The resulting Word documents are optimized to be viewed quickly. The output files are saved in DOCX format and can be edited right away. The design, format, images, and tables of the converted documents can be seen exactly the same as on the original PDF. The app carries out the conversion on its servers so as not to use the device's resources and waste battery. The file is removed from the servers just after completing the conversion. 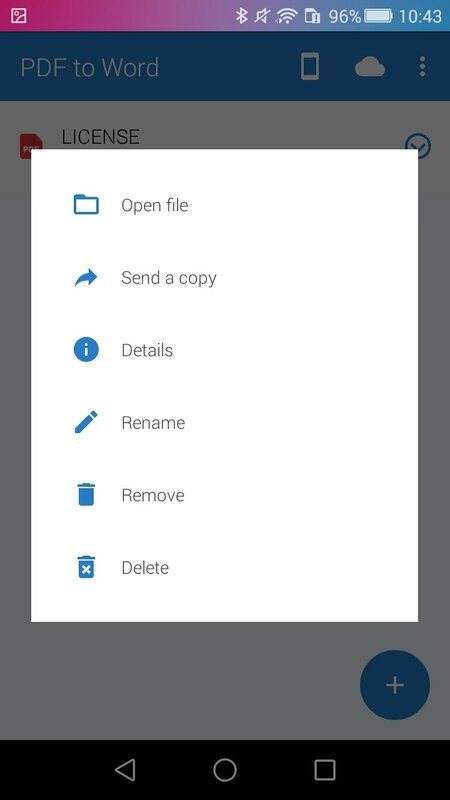 Tap the + button to add the file that the user wishes to convert. The app sends the file to the servers for its conversion. After a few seconds, the user can download the file. And all the latter is applicable to the free version. 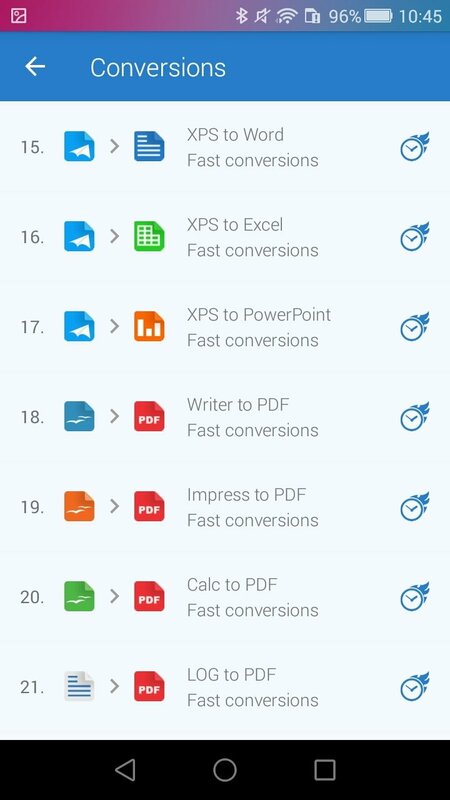 If the user is interested in getting hold of a full version of the application, PDF to Word Converter includes two commercial licenses that increase the conversion options with dozens of other format combinations: Image to Word, Word to PDF, Excel to PDF, JPG to PDF, GIF to PDF, etc.